HomeDepot.com is offering up this Magic Chef 4.4 cu. ft. Mini Refrigerator in Stainless Look for just $128 shipped (regularly $189) or choose free in-store pick up if available near you. This mini refrigerator features a can dispenser, glass refrigerator shelves, a full-width built-in freezer, 3 fresh-food shelves and crisper. Sears.com 现在这个 kenmore 的立式上下单开门的电冰箱 Kenmore 19 cu. ft. Bottom-Freezer Refrigerator in Stainless Steel 降价 for just $671.99 with free delivery (regularly $1299.99). Plus, Shop Your Way Members will get $41.38 back in points. After factoring in these points, it’s like you are getting this refrigerator for just $630.61. BestBuy.com 现在 dropped the price on this highly rated Insignia Compact Refrigerator in Black down to just $79.99 shipped (regularly $119.99). This fridge offers 2.6 cu. ft. of space and has glass shelving and can storage for flexibility. 这种小冰箱最适合放在basement，或者游戏室里啦. For a limited time only, BestBuy.com this Samsung 25.5 Cubic ft. French Door Refrigerator available in stainless steel, white or black, on sale for only $999 shipped (regularly $1799). Walmart.com 现在 this Igloo 3.2 cu. 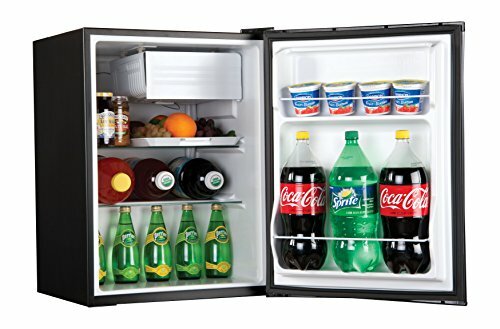 ft. Mini Refrigerator with Freezer for only $90.14 shipped! Great for a dorm or apartment! Keep your groceries fresh and your beverages ice-cold with the Igloo 3.2-Cubic Foot Refrigerator and Freezer. It’s roomy enough for your perishables, produce, snacks and drinks, but small and sleek enough to fit almost anywhere. The easy to clean wire shelves can be adjusted to fit the height of your food and accommodate bulkier objects, adding to the unique, space-saving design. Sears.com where they dropped the price on this Kenmore 22.1 cu. 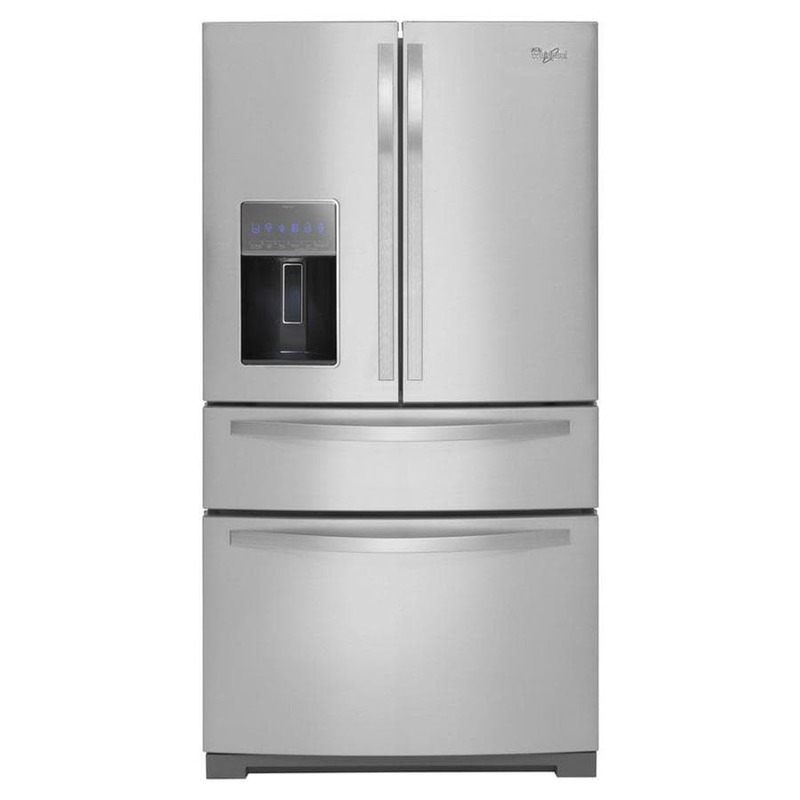 ft. French Door Bottom-Freezer Refrigerator w/Internal Dispenser down to only $999.99 shipped (regularly $2,299.99). Even better, you can save $35 off your Sears appliance purchase of $300 or more when you use promo code SEARS35OFF300 at checkout (exp. 1/31/18). That means you can get this Kenmore Refrigerator for only $964.99 delivered right to your door. This Robe Factory Star Wars mini fridge is large enough to hold a six-pack of 12-oz. beverages. Best Buy now you can buy this highly rated Insignia 5.0 cubic foot Chest Freezer for just $114.99 (regularly $169.99)! PLUS, choose free in-store pickup. This freezer features a removable wire storage basket, a power-on indicator light that reassures you that your food is frozen, and an easy-to-clean interior. Target.com now you can get this Sunbeam 1.7cu. 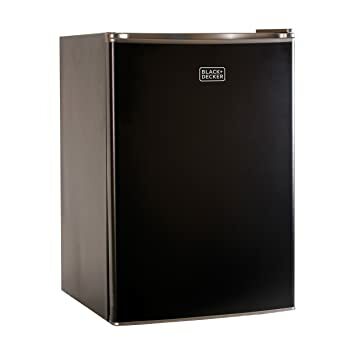 ft. Mini Refrigerator in black for just $58 shipped (regularly $84.99) or choose free in-store pick up. This mini fridge has a reversible door and a coated wire slide out shelf. It also has 2-liter bottle storage and a 1/2 width freezer compartment. Through October 11th, HomeDepot.com now you can get this LG Electronics 26.8 cu. ft. French Door Refrigerator in Black Stainless Steel for just $1,528.20 (regularly $2,999). Even better, delivery and installation are free but note that if you choose to have this item installed, there is a $9.99 fee for required parts. Today, October 13th only, Best Buy now you can get this Insignia 2.6 Cu. Ft. Mini Fridge for only $69.99 shipped (regularly $129.99)! Since the front door of this mini fridge is a dry-erase board, you can write notes/lists with the two included markers. On BestBuy.com you can now get this Frigidaire Gallery 26.0 Cu. Ft. Frost-Free Side-by-Side Refrigerator in Stainless Steel for just $877.99 (regularly $1,349.99)! Even better, delivery is FREE on this refrigerator! This side-by-side refrigerator features 2 humidity-controlled crispers, 3 SpillSafe shelves, 2 adjustable door bins, two fixed door bins and more. Plus it has a thru-the-door ice and water dispenser which delivers filtered water and crushed or cubed ice. Through February 7th, Lowe’s.com has the Appliance Clearance Sale. This very highly rated 四开门的电冰箱，Whirlpool Gold 26.2-cu ft 4-Door French Door Refrigerator with Ice Maker for only $1,596 delivered (regularly $2,999). This refrigerator features an in-door ice system that provides filtered fresh water and crushed/cubed ice. The fold away shelf slides out to offer room for tall 2-liter bottles or larger bowls and the MicroEdge adjustable shelves contain leaks. On Amazon.com you can now get this BLACK + DECKER Mini Fridge with Freezer in black for just $88.23 shipped (regularly $149.99) – lowest price! This mini fridge features a 2.5 ft refrigerator space AND a freezer compartment and is perfect for a dorm or office space. It fits 2 liter bottles, has adjustable shelves and includes ice cube trays and it is energy star rated! On Target.com you can now buy this Whirlpool 3.1cu. ft. Mini Refrigerator in Stainless Steel for only $139.99 shipped (regularly $199.99)! free in-store pickup. This apartment or dorm room-sized fridge has spots for all your soda, milk, and maybe even some fruits and veggies and it has a freezer!